The newest and shiniest episode of The Cageside Beat features UFC fighter Danny “Last Call” Castillo, who get sandwiched in between some UFC 146: Heavyweights talk, and a riveting round of Point/Counterpoint. And tune in to find out the latest fact about everyone’s favorite mustachioed UFC Legend, Don Frye. The Cageside Beat – Heeeeeere’s Johny! Check out the newest episode of The Cageside Beat with special guest Johny Hendricks and hear what he had to say about his upcoming fight with Josh Koscheck at UFC on Fox 3. Join Furby and Mike for the newest episode of The Cageside Beat and check out their interview with Natasha Wicks, a UFC 145 recap, a largely senseless version of Point/Counterpoint, and of course, the Don Frye Fact Machine. Join Furby and Mike for the newest episode of The Cageside Beat and check out their interview with UFC flyweight Ian McCall, some new segments, and The Don Frye Fact Machine. 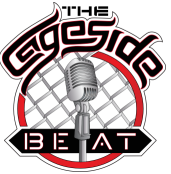 Join Furby and Mike for the first episode of The Cageside Beat under the new podcast format. If you were a fan of the show in the past, this is The Cageside Beat on TRT (yes, we have exemption)! 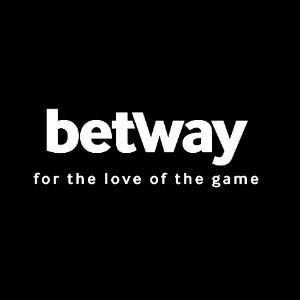 Join Furby and Mike for the newest episode of The Cageside Beat, the official radio show of ProMMAnow.com. The guys will be recapping the recent Strikeforce: Tate vs. Rousey event and the 2012 Arnold Sports Festival. This episode is sponsored by Rio Fight Wear. Strikeforce women’s MMA 145-pounder Julia Budd and Tachi Palace Fights promoter Jeremy Luchau join Gary and Jack on tonight’s episode of The Cageside Beat at 9 p.m. ET (6 p.m. PT). Join Gary and Jack Thursday night at 9 PM ET for the newest episode of The Cageside Beat, the official radio show of ProMMAnow.com. Join guest host Gary Thomas and co-host Jack Bratcher for the newest episode of The Cageside Beat, the official radio show of ProMMANow.com. Gary and Jack will be joined by “Little” Patricia Vidonic to talk about her upcoming fight with Jessica Aguilar. This episode is sponsored by Swole Sports Nutrition. On this past week’s episode of The Cageside Beat hosts Brian Furby and Jack Bratcher spoke with renowned martial arts author Glen Cordoza, who has co-authored 15 different MMA and BJJ books.